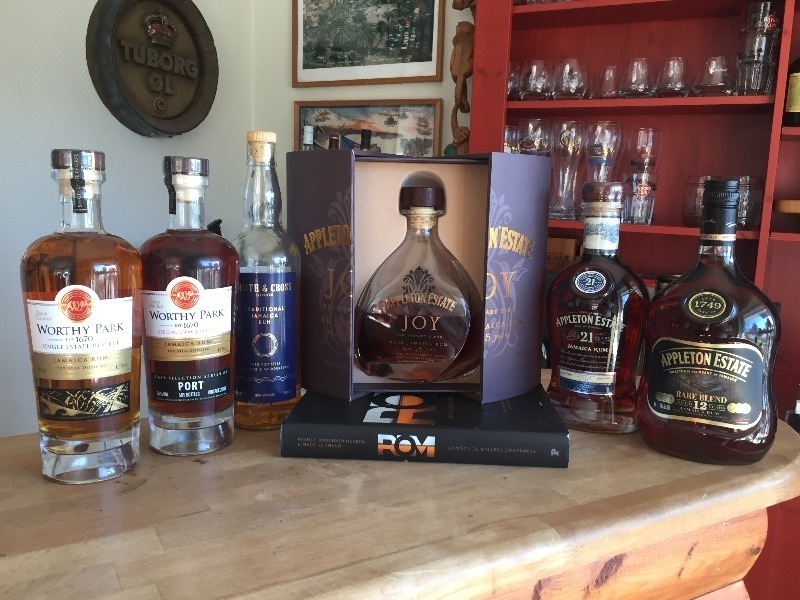 Have you found an online vendor selling Worthy Park Single Estate Reserve? Nice aroma, a lighter color rum, Good flavor, but does have a strong burn at the end. Jamaican Rum, Pot Still Distilled, nice heavy bottle it's packaged in. Just back from this years rumcruise at the Baltic Sea with Birka cruises. Decided already before I went on the cruise that I should buy me some bottles of Worthy Park. I really like that they now are on their own because I’m avoiding the independent bottlers. This Worthy Park was one of the rums that was a part of Ian Burrell’s Master Class “Blindtest”. The 45% gives it some sting in your nose, especially if you warm it up in your hand for a while. It’s really a great rum aged between 6 and 10 years that’s flavourful, quite smooth and very complex with a rather long afterburn. You can recognise chocolate, toffee, banana, notes from the bourbon Cask, spices etc. 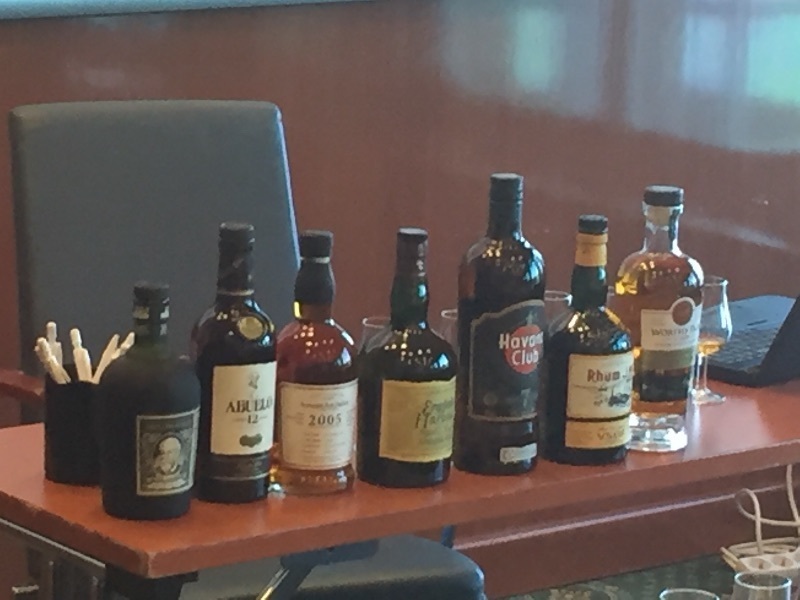 Pictures: My Jamaican shelf & Rums included at Ian Burrell’s Blindtest. I really wanted to like this as it was brought back to Aussie for me from the UK.. but its just not for me. Very acetone on the nose , too much nail polish remover and glue notes , lovely floral and fruity notes as well... left to breath for a while but all i could think of was whisky , on its own , with ice and also mixed , just overpowering whisky taste. Damn.. I then poured myself an Appletons Joy rum to remind me that i do normally like Jamaican rums ! Enjoyed two glasses of Worthy Park Single Estate Reserve with my friend during a 5,000 mile road trip across 18 States. Bottle and label design is decent, but nothing special. Golden amber color. Very strong and offputting glue and funk straight to your nose and palate. Strong burn at the end. Not my cup of tea. 45% ABV. Aged 6–10 years. I'm afraid I was so enamored of this rum I didn't take good notes. Typical banana-forward funk, tempered by some glorious tropical aging and blending. 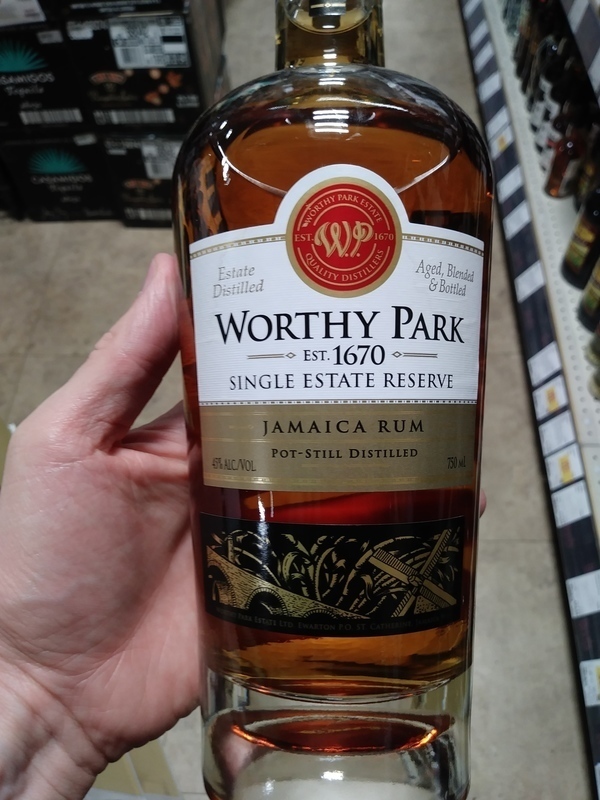 I really, really liked it—indeed it's my favorite of Worthy Park's own releases (including the older, higher-strength rum I tried). straight up in my allè. Coconut, Toffee Crisp bars, ginger root, grassy funk with a touch of tobacco. A fine jamaican clasic rum. Great finish, great taste. A lot of fruits, beautiful.